Summer’s nearly here and we’re delighted to announce our forthcoming Summer Camp for 2016! 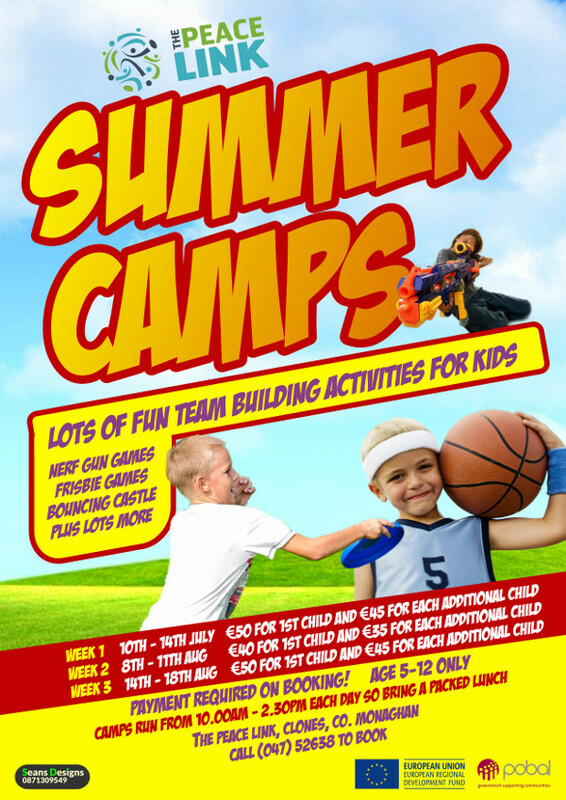 This years camps will be run over 3 separate weeks between July and August. Last year was a wonderful success, so be sure to book early for 2017. NERF GUN GAMES – FRISBIE GAMES – BOUNCY CASTLE – LOTS MORE! Weeks 1, and 3 will cost €50 for the 1st child and €45 for each additional children.